Yesterday was World Earth Day, an important day in which we are encouraged to think about the impact our actions have upon the environment. It is also a time when we can contemplate the wonders of nature, and appreciate the power and majesty of the natural world around us – something that Anne Brontë and her sisters took great delight in. The Brontës grew up at a time when the industrial revolution was coming to the fore, a time that would lead to the highly industrialised world that we live in today. As such, the Brontës were free from many of the environmental concerns we now have, yet there was one occasion when they witnessed the devastating effect that an imbalance in nature can bring – and it nearly cost the young girls their lives. On the second of September 1824 Anne and Emily Brontë were keeping themselves company, as they were often want to do, while their three eldest sisters Maria, Elizabeth and Charlotte were away at Cowan Bridge school. There had been heavy rain for a week, and combined with the colds that both Anne and Emily had been suffering from, they had been confined to the four walls of the Parsonage for a week. This could mean only one thing for four year old Anne and six year old Emily, who had already discovered their love of nature but were as yet too young to have found their love of reading – they were bored. Finally the rains ceased and a weak autumnal sun broke through the obscuring clouds. Their father Patrick, who himself was a keen walker, gave in to his girls’ pleas and allowed them to go outside in the fresh post-deluge air. Accompanying them was their older brother Branwell, and their leaders were Nancy and Sarah Garrs, hired hands at the Parsonage. Branwell strode on ahead, as the oldest sibling present, as if he was now the man of the party and must therefore protect them. He was soon to find that there are some things that can’t be protected against. After walking for around two miles, which must have been about the limit for young Anne at the time, the weather and light suddenly changed. The sky darkened and an ominous rumble sounded. The earth shook violently after which large hail stones fell from the sky. It had now become very dark, and Nancy and Sarah realised that something was very wrong. In the distance was the large Ponden Hall, and gathering the children up they ran towards it, with a voice from within the Hall urging them on. They had just reached the shelter of a porch when a huge torrent of water and mud flooded across the landscape they had been walking in. At its peak this torrent was seven feet high and large boulders were picked up and hurled through the air. 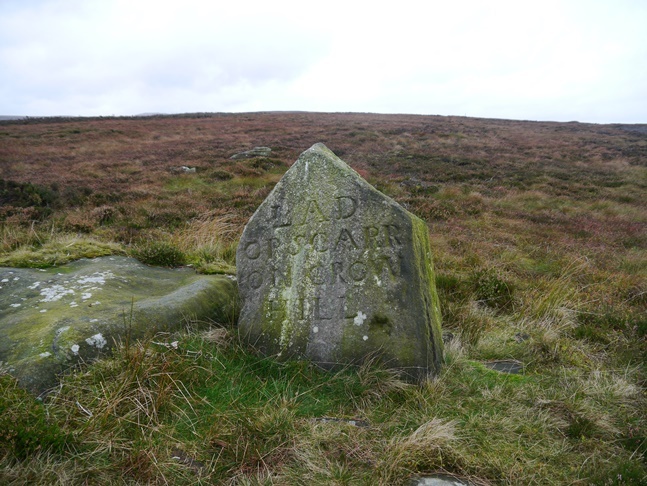 The devastation can still be seen on the scarred and cratered moors today, and the sound of the explosion taking place was reported as far away as Leeds. For weeks afterwards, the streams were full of dead fish. Patrick Brontë had sensed something was wrong, and had been watching from the window of the Parsonage with a sense of dread as the sky above turned black transforming daytime into an instant night. When his family failed to return and the tidal wave of mud had stopped, he set out to find them. We can imagine the relief on both sides as they met on the moors, all covered in muds. In fact, the damage not caused by an earthquake but by a rare event that has become known as the Crow Hill bog burst. Constant rain had eroded the soil until a land slip occurred, and this gathered force and momentum until mud and water broke free with an explosive force. This very near brush with death must have made on impact on Anne and Emily’s young minds, but if anything they gained an even greater love and respect for nature and the landscape around it. They had seen how powerful nature could be, and one day through their writing they would reveal how powerful they could be as well. 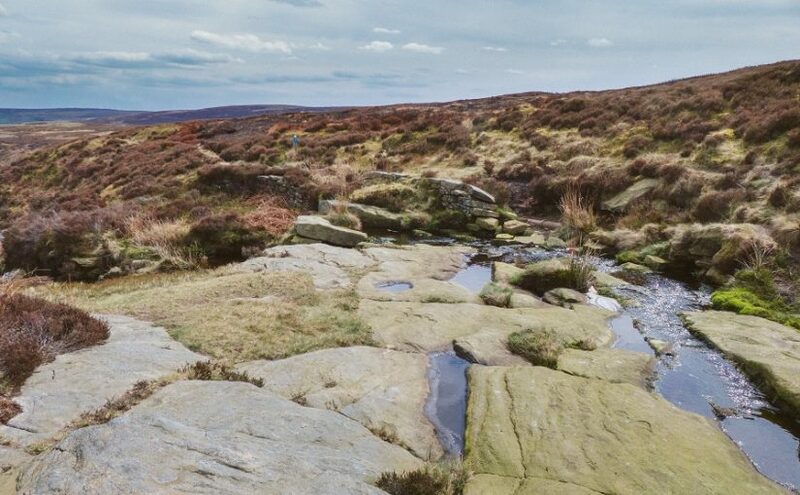 Emily and Anne Brontë had encountered their very own earth day, but it increased their love of nature and the landscape – a love that would become apparent in their prose and poetry for the rest of their lives. In Wuthering Heights particularly, the landscape is almost a character in itself – its dark presence brooding over the pages. We see Anne’s love of the environment in her evocations of seaside landscapes, but also in her words that pay tribute to bluebells, snowdrops and primroses. As we think about World Earth Day, we only have to look at our beloved Brontës, and to remember their desperate escape from Crow Hill, to realise the power that the environment still has over us. We must respect it; we must preserve it.